Now it is November we can officially start mentioning the C word.... 'Christmas'. My favourite time of year. As they say the apple doesn't fall far from the tree and Darcy is even more excited for the Christmas period. I'm already sat and watched "Jingle all the Way" at least 6 times already!! Recently Not For Ponies got in contact to see if we would like to review some of their Christmas jumpers and of course we said yes! If you have not heard of them before they are a UK based company with a love of colours, bold prints & quirky graphics. Think Mermaids, pugs and other cute things and best of all each item is handmade. If you are all about twinning with your little ones. Not For Ponies is definitely the shop for you. From on trend unicorns to quirky squares with glasses to the traditional Christmas pud. There is a jumper and even a bag for everyone in your family. Unfortantly I'm a bit on the chub side to fit into their clothing (largest being a size 22) However, Darcy could not hide her excitement when I told her she was able to pick any jumper she wanted. 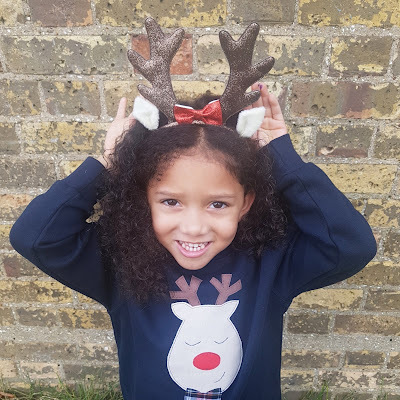 She picked the Reindeer jumper, which was a great choice. The jumper is made from really good thick quality material, I sized up like I normally do as I like her to get as much wear out of her clothes as possible. However, I would say the sizing is true to size and size 3 - 4 would have fitted her perfectly. 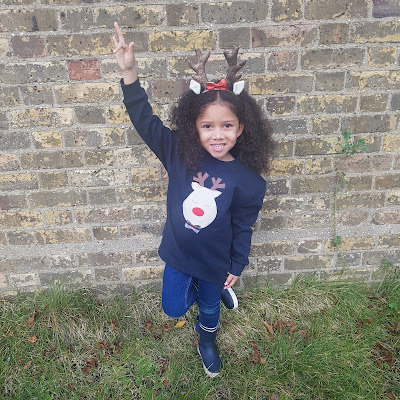 You lovely readers have a chance to win a children's Christmas Jumper of your choice. Perfect timing for Christmas Jumper day which is is on 15th December 2017. 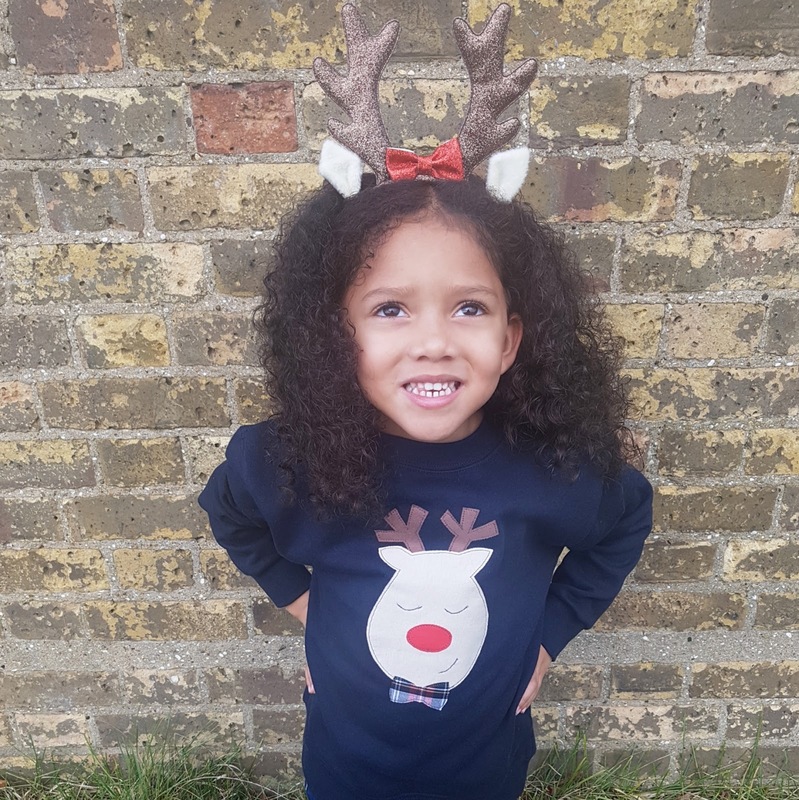 The navy reindeer jumper - very cute! i love the reindeer or the christams pud one myself! The boys red polar bear. It would have to be the Navy Reindeer as I love his face! I like the navy reindeer jumper, but I'd let my daughter choose. The boys red polar bear jumper is so cute! The grey Christmas Pug one!! My son would love it! I would choose the Navy Reindeer Jumper, it is my favourite. 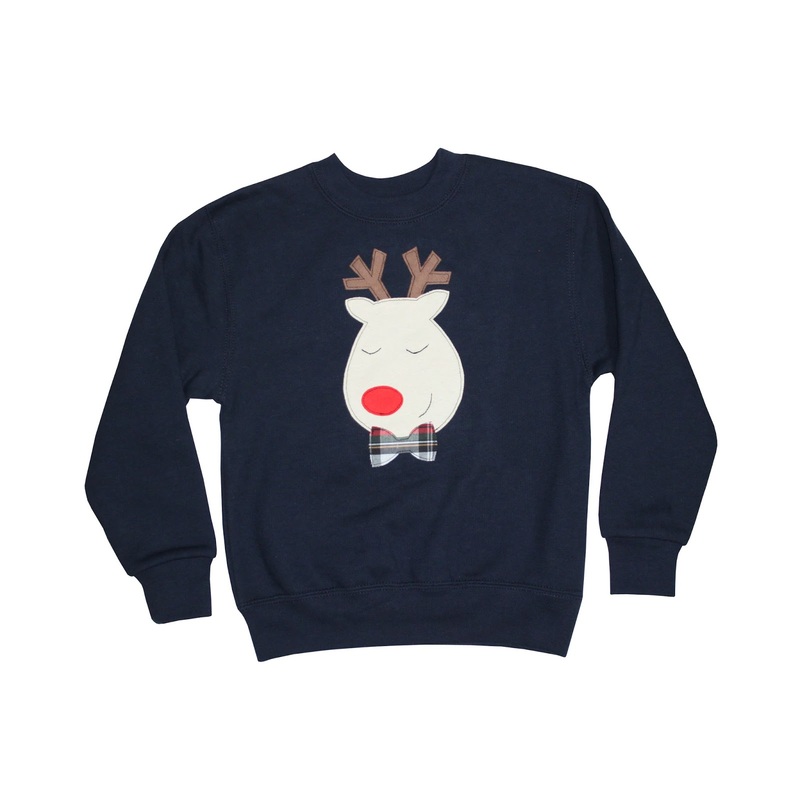 The blue reindeer jumper - it's the most Christmassy! love the navy reindeer one! love the polar bear one! It would have to be the reindeer jumper for my 4-year old boy. Sorry, but my kids do not like eyes to be closed - and all the other jumpers have closed eyes! The Navy reindeer for my son, please! I'd pick the Christmas Pudding. The red polar bear jumper! It would be the reindeer. I would choose the Boys’ / Girls’ Navy Reindeer Christmas Jumper :) Looks like the only options are the polar bear or reindeer for the children's Christmas jumpers? Reindeer one is so cute. I would love the Reindeer jumper please so so cute! I would choose the navy reindeer jumper for my son. The Reindeer top is great fun. Thanks for the giveaway. The red polar bear is super cute! The red polar bear please. The reindeer one, I have one similar I got last year so my daughter could be my mini me! The reindeer one. It looks nice. I would choose the Baby Christmas Pudding Top jumper for my daughter. I would choose the Christmas Pudding jumper,it's super cute! I would pick out the baby Christmas pudding top by not for ponies for my niece. I would choose the Christmas Pudding jumper!